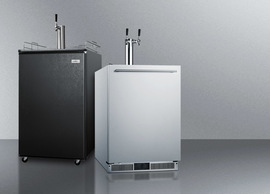 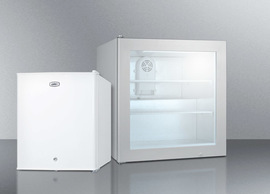 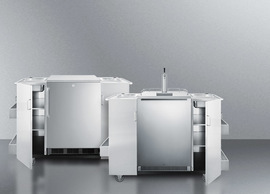 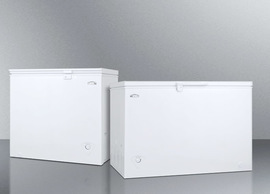 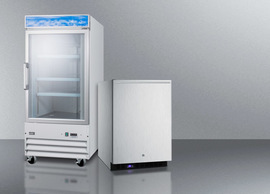 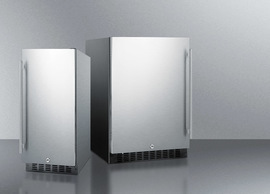 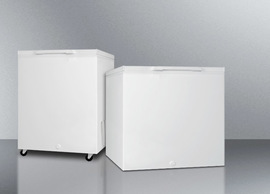 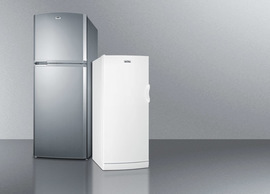 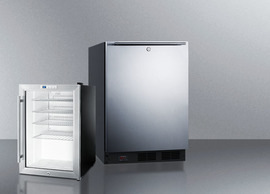 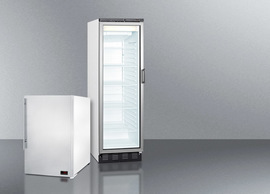 SUMMIT SPFF51OS Series features versatile frost-free all-freezers perfectly sized and featured for convenient use in outdoor spaces. 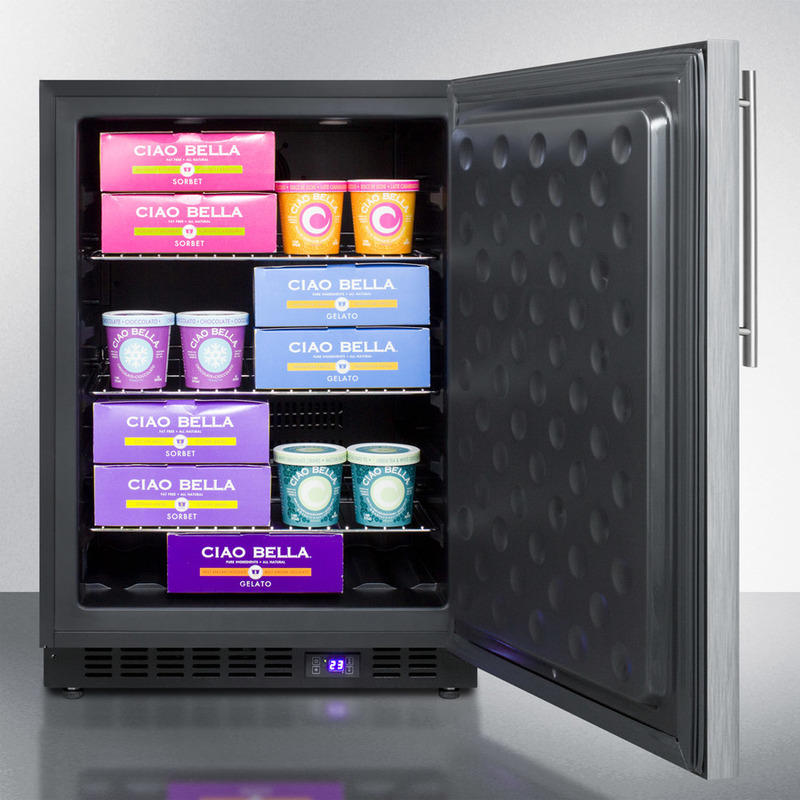 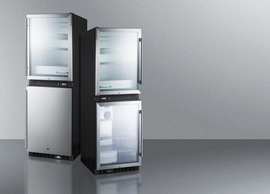 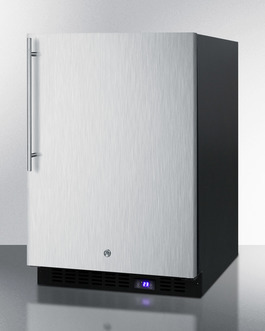 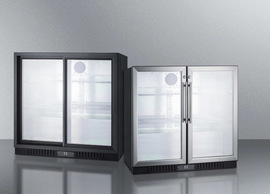 The SPFF51OSSSHV is a 24" wide all-freezer designed for built-in or freestanding use, with a fully finished jet black cabinet and 304 grade stainless steel wrapped door. 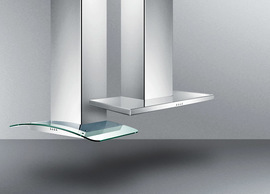 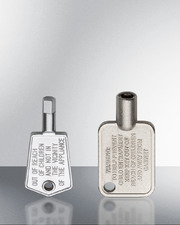 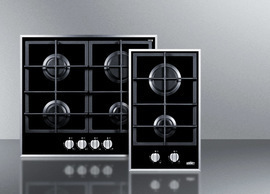 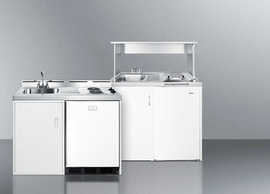 The door includes a factory installed lock and a thin stainless steel handle to complete the professional look. 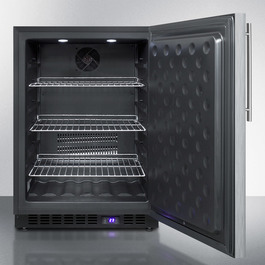 Inside, the SPFF51OSSSHV is designed for true convenience and low maintenance operation. 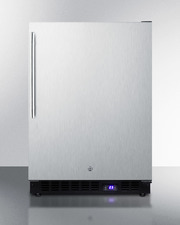 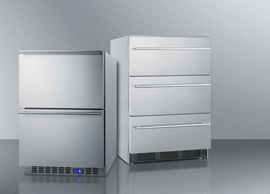 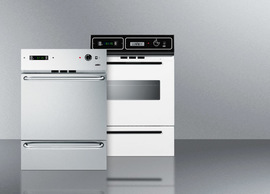 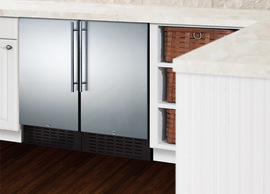 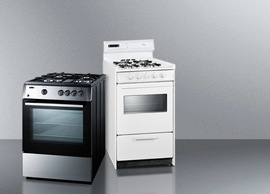 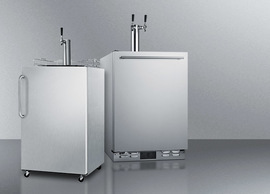 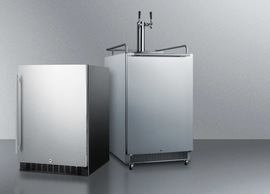 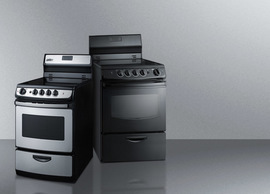 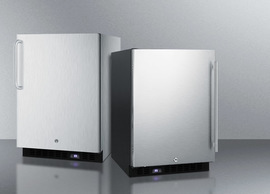 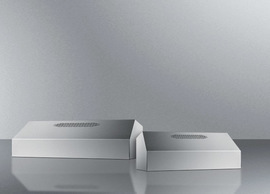 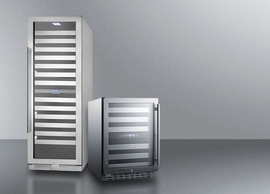 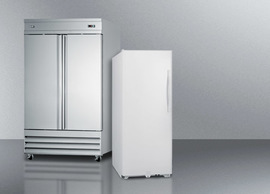 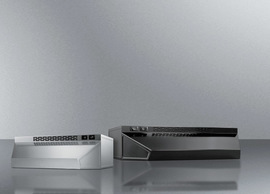 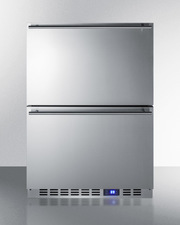 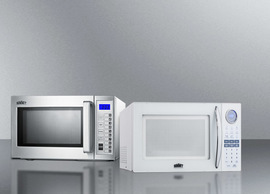 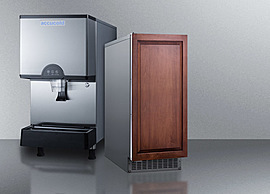 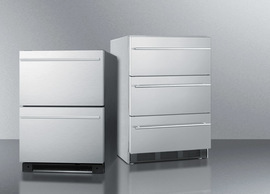 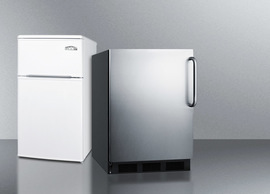 The frost-free design ensures users won't have to manually defrost the 4.72 cu.ft. 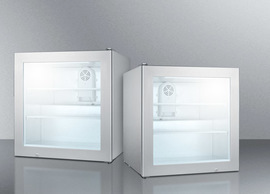 interior, while adjustable shelves offer flexible storage solutions. 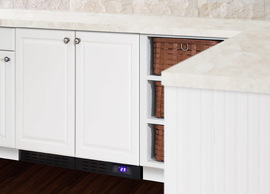 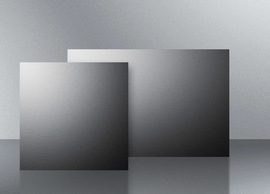 Recessed LED lighting provides an attractive, energy efficient display. 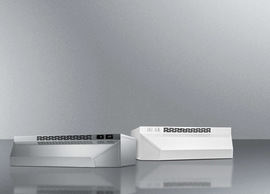 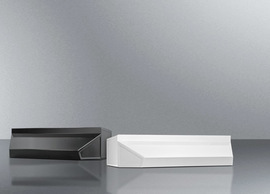 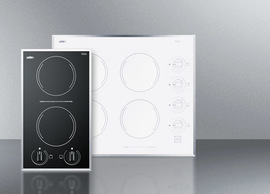 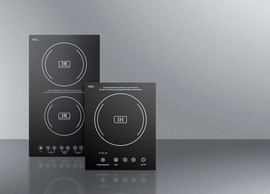 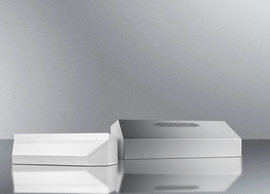 A digital thermostat (located in the unit's kickplate) makes temperature management easy and intuitive. 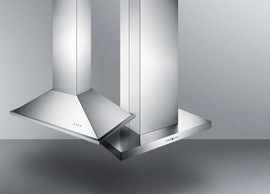 With solid construction and a striking design, the SPFF51OSSSHV makes an ideal finish for any outdoor kitchen. 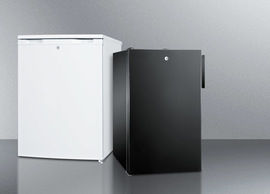 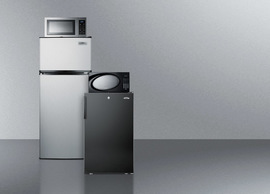 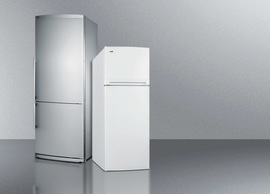 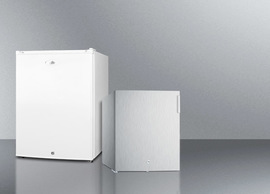 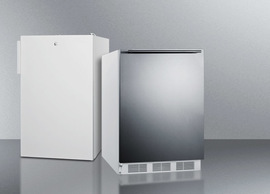 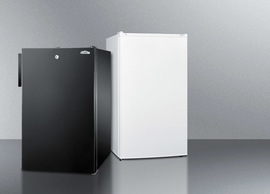 For this unit without a factory installed icemaker, see the SPFF51OSSSHVIM.